Home » Biomedical Engineering » Frontiers of Biomedical Engineering » BENG 100 - Lecture 1 - What Is Biomedical Engineering? - What Is Biomedical Engineering? Professor Saltzman introduces the concepts and applications of biomedical engineering, providing an overview of the course syllabus, reading materials for lecture and labs and grading logistics. Various pictures are shown to highlight the current application of biomedical engineering technologies in daily life (eg. chest x-ray, PET scan, operating room, gene chip, transport). Next, living standards and medical technologies of the past and present are compared to point out the impact of biomedical engineering as well as areas for improvement in the field. Finally, Professor Saltzman draws references from the poem “London Bridge” to illustrate some societal issues in making materials and devices in biomedical engineering. BENG 100 - Lecture 1 - What Is Biomedical Engineering? Professor Mark Saltzman: This is a course, a version of which I’ve taught almost every year for the last twenty years and it evolves a little bit every year. I think I get a little bit better at it, so hopefully you’ll get some advantage from that experience. But the idea is to try to present to you what’s exciting about Biomedical Engineering, the ways that one can take science and mathematics and apply that to improve human health. I’m not working alone here, but we have three teaching fellows who are affiliated with the course, two of which are here today. Yen Cu is back there, Yen raise your hand higher so everyone can see. Yen worked on the course last year and she’s the senior of the teaching fellows that are working on the course this year. Serge Kobsa is in the back and he’ll be the second teaching fellow. I should mention that Yen is a PhD student in Biomedical Engineering and Serge is an M.D./PhD student who’s getting his PhD in Biomedical Engineering. The third teaching fellow couldn’t make it today, his name is Michael Look and I’ll introduce him to you when he’s available. This is the goal for my first lecture today, to try to answer these questions. You might have already noticed that I’m using the classes V2 server so the syllabus is there, I’m going to go over the syllabus a little bit later, but the syllabus is available online. The first reading is available online and I’ll talk more about the readings when I get to that portion of the lecture here. I’m going to post PowerPoints for all the lectures, hopefully at least the day before the lecture takes place, so I posted this last night. Some students find that they benefit from printing out the PowerPoints and they can just take their notes along with the slides as I go and that’s one way to do it, but feel free to do it whatever way works for you, but those should be available. The questions I want to try to answer today are what is Biomedical Engineering? So why would you be interested in spending a semester learning about this subject? I’ll talk about who will benefit from the course and a little bit about sort of the detailed subject matter that we’ll cover in the course of this semester. To answer the question what is Biomedical Engineering, we’re going to spend time on that today and we’ll spend time on Thursday, and I want to approach it from a couple of different angles. One is by just showing you a series of pictures which you might recognize and talk about why this is an example of Biomedical Engineering. This is one picture that probably you all know what it is when you see it, it’s a familiar looking image. It’s something that probably we all have some personal experience with, right? This is a chest x-ray that would be taken in your doctor’s office, for example, or a radiologist’s office. And it is a good example of Biomedical Engineering and that it takes a physical principle, that is how do x-rays interact with the tissues of your body, and it uses that physics, that physical principle to develop a picture of what’s inside your body, so to look inside and see things that you couldn’t see without this device. And you’ll recognize some of the parts of the image, you can see the ribcage here, the bones, you can see the heart is this large bright object down here. If your - have good eyesight from the distance that you’re at you can see the vessels leading out of the heart and into the lungs, and the lungs are these darker spaces within the ribcage. Physicians over the years of having this instrument have learned how to be very sophisticated about looking at these pictures and diagnosing when something is wrong inside the chest, for example. So this is an example of Biomedical Engineering, one that is well integrated into our society to the point that we’ve probably all got a picture like this somewhere in our past, and where we understand the physical principles that allow us to use it. We’ve gotten, over the last two decades in particular, very sophisticated about taking pictures inside the body allowing doctors to look inside the body and predict things about our internal physiology that they couldn’t predict just by looking at us or putting their hands on us. This image on the top here is another example of an imaging technique, this is a Positron Emission Tomograph, or PET image, and it’s taken by using radionuclides and injecting them into you, so radioactive chemicals that interact with tissues in your body in a specific way and you can where those radioactive chemicals go. It allows us to look not just at the anatomy of what’s going on inside your body like an x-ray does, but to look at the chemistry, the biochemistry of what’s happening inside a particular organ or tissue in your body. In this case, these are pictures of the brain and this has been an exceptionally important technique in understanding how molecules like neurotransmitters affect disease and how they change in certain disease states in people, and we’ll talk about this as another example of Biomedical Engineering, this advanced method is for imaging inside the body. Well this third picture you can’t probably see too much about but you probably recognize what it is, right? Where was this picture taken? What kind of a space was it taken in? Professor Mark Saltzman: Somebody said OR or operating room and that’s right, this is a picture in an operating room, and operating rooms if you went into any operating room around the country you would see lots of examples of instruments that are used to help surgeons, anesthesiologists to keep the patient alive and healthy during the course of a surgery. This particular one down here, this portion here is a heart/lung machine and this is a machine that can take over the function of a patient’s heart and lungs during the period when they’re undergoing open heart surgery, for example. If they’re having a coronary artery bypass or they’re having a heart transplant, then there’s some period at which their normal heart - their heart is stopped and this machine assumes the functions of their heart. And this is, I think, an obvious example of Biomedical Engineering, building a machine that can replace the function of one of your organs even temporarily, for example, during an operation. This is another familiar picture, I purposely picked one that looked sort of old fashioned compared to the usual way you see this, which might be on the nightly news. You see a bleep going across the screen to indicate that they’ve got their finger on the pulse of what’s happening, or you see it in TV shows like ER. You see these images on computer screens all the time; it’s an example of an EKG or ECG, an electrocardiograph. It’s a machine that also looks inside your body, but looks inside in a different kind of way. Rather than by forming an image or a picture you put electrodes on the surface of the body and measure the electrical potential as a function of position on the body. It turns out the electrical potential or electricity that you can measure on the surface of the body reflects things that are happening deeper inside like the beating of your heart. If you put the electrodes in the right position and you measure in the right way you can detect the electrical activity of the heart and record it on a strip recorder like this one shown here, or display it on a computer. So this is another example of Biomedical Engineering where you can look at the function of a heart in a living person and a physician who is experienced at looking at these, and a machine that works well, with those two things you can diagnose a lot of things that are happening inside of a heart and we’ll talk about that about halfway through the course. This picture might be less familiar to you but you probably all know that we have developed over the last 100 years or so the ability to take cells out of a person, or cells out of an animal, and keep those isolated cells alive in culture for extended periods of time: this technology is called cell culture technology. We’re going to spend quite of bit of time talking about it during the third week of the course. By taking cells from the skin, for example, or cells from your blood or cells from the bone marrow and keeping them alive in culture, we’ve been able to study how human cells work and learn a lot about the functioning of human organism. We’ve also learned how to not only keep cells alive, but in certain cases make them replicate outside the body, so maybe you could take a few skin cells and keep them in culture in the right way and replicate them so that you get many millions of skin cells after several weeks or so. Now one of the new technologies that’s evolving, that we’re going to talk about in the last half of the course, is taking cells that have been propagated in this way outside the body and encouraging them to form new tissues. This is one example of that: this is actually artificial skin. It’s in this Petri dish. Here is a thin membrane, it’s a polymer scaffold, and on that polymer scaffold scientists have placed some skin cells and they’ve allowed it to grow. And if you maintained it in the right way, this polymer scaffold together with the skin cells will grow into skin. And you can use this tissue engineered skin to treat a patient who’s had severe burns, for example, or a diabetic who’s developed ulcers that won’t heal. So this is an example of a technology that’s just emerging now, it’s certainly going to impact you in your lifetime and we’ll talk about how it works and what the current state-of-the-art is there. This device held here is really made of mainly plastic and a little bit of metal. It’s a fully implantable artificial heart, and it was introduced about seven or eight years ago now. It was implanted into the first patient, a gentleman in Kentucky, and he stayed alive for a period of time with this device replacing his heart. Development of an artificial heart, again another example of Biomedical Engineering, is something that people have been trying to accomplish for decades now, and this is the closest that we’ve come and there are many advantages of this particular artificial heart. And it’s important innovation in several different ways and we’re going to talk about this whole science of building artificial organs, devices that are made out of totally synthetic components to replace the function of your natural organs, and the artificial heart is a good example of that. This picture on the bottom here is really just a series of colored dots. Some are yellow, some are red, and some are green - does anybody know what this is? Have you seen pictures like this? It’s an example of a technology called a gene chip that allows you to, on each one of these spots there is DNA for example, that’s specific for a particular gene in your genome, in the human genome for example. By incubating a small sample of fluid from a patient on a gene chip like this, where every one of these dots represents a different gene, you can see by looking at the pattern of colors on this chip which genes are being expressed and which genes are not being expressed in that particular individual. So it lets you do a profile of not just the genes that you possess, for example, but what genes are actually being used to make proteins in the cells that surround the fluid where this was collected. So this has been a remarkable innovation. It’s another example of Biomedical Engineering technology that allows us to look at what’s happening inside an individual, a patient, in a totally different way than we were before. By looking to see not just what genes you carry but what genes are being used at particular times in your life. This is mainly a research tool now, but there’s lots of reasons to believe that this is going to change the way that physicians practice medicine by allowing them to diagnose or predict what’s going to happen to you in ways that they can’t currently. And so we’ll talk about technologies like this, where they’re at, what the scientific basis of it is, and how they might be useful. This is an airplane, what does that have to do with Biomedical Engineering? Well you could stretch it and say that an example of engineering to improve human health is getting them from one place to another, but that would be more of a stretch than I’m going to make. But it turns out that technologies like airplanes, which were developed in the last century, have become integral parts of medicine. For example, you all know that the only treatment for some diseases is to get an organ transplant: a kidney transplant, or a liver transplant is the only life extending intervention that can be done for some kinds of diseases. Transplants require donors, and the donor organ is usually not at the same physical location that the recipient is, and so jets like this one have become very important in connecting donors to recipients. A team of surgeons is working to harvest an organ at one site while another team of surgeons is working to prepare the recipient at another site, and the organ is flown there. Now why does that happen? Because you have to get the organ from one place to another fast, right? The organ has to get from one place to another very rapidly and this is the fastest way to do it. Well what if we could develop ways using engineering techniques to extend the life of an organ, so it didn’t have to get it where it went so quickly? Then that would open up lots of more possibilities for organ transplantation than are known now. What if we could figure out ways to avoid organ transplantation entirely? What if we could just take a few cells from that donor organ, ship them to the site, grow a new organ at the site and then implant it there? These are examples of Biomedical Engineering of the future that expand on what we currently use, which involves to no small extent, technology like this. I would guess that probably 30% to 50% of you do this everyday, you put a piece of plastic, a synthetic piece of plastic into your eye to improve your vision. Contact lens technology has changed dramatically from the time that I was born to the time that you were born, and the contact lenses you use today are much different than the ones that would have been used 30 years ago. This is Biomedical Engineering as well. Engineers who are developing new materials, materials that can be, if you think about it, there’s not very many things that you would want to put in your eye and that you would feel comfortable putting into your eye, so this is a very safe, a very inert material. What gives it those properties? What makes it so safe that it can be put in one of the most sensitive places in your body, in contact with your eye? Why do you have confidence putting it in contact with one of the most important organs of your body? Because you trust biomedical engineers to have done a good job in designing these things and we’ll talk about how biomaterials are designed and tested, and what makes a material, the properties of a material that you could use as a contact lens, what are the properties that it needs to have. This is an example of an artificial hip. We’ve learned a lot about the mechanics of how humans work as organisms over the last 100 years or so, how we work as sort of physical objects that have to obey the laws of physics that you know about. We live in a gravitational field and that it affects our day to day life, and if you have hip pain or a hip that’s diseased in some way, and you can’t stand up against that gravitational field in the same way, that severely limits what you can do in the world. So biomedical engineers have been working for many years on how to design replacement parts for joints like the hip: the artificial hip is the most well developed of those. We’ll talk about this in some detail. You can imagine that there are many requirements that a device like this has to meet in order for it to be a good artificial hip and we’ll talk about those and how the design of these has changed over the years and what we can expect in the future. Lastly, up here, is a picture of a much smaller device, this is actually an artificial heart valve that is made of plastics and metal and can replace the valve inside your heart. Valvular disease is not uncommon in the world; we’ll talk about that a little bit. We’ll talk about how your normal valves function inside your heart and how your heart couldn’t work in the way that it did if it didn’t have valves that were doing a very complex operation many, many times a day. And then we’ll talk about how you can build something to replace a complicated small part in the body like that. Well let’s take a step back for a minute; that’s one way of looking at Biomedical Engineering, by looking at sort of the things that you know about that have been the result of the work of biomedical engineers and talk more generally. But what is engineering? What do engineers do? What makes engineering different than other fields of study? What makes it unique so that we have a school of engineering at Yale that’s separate from science and the humanities? Any thoughts? Professor Mark Saltzman: It’s much more hands-on. You’re actually in there doing things. Many of the things I showed you were things that were built from parts, that’s a good description. What makes it different from science? Science can be hands-on, you might be down at the lake picking up algae and studying them or something, that would be hands-on. But what’s different - what would make you an engineer? 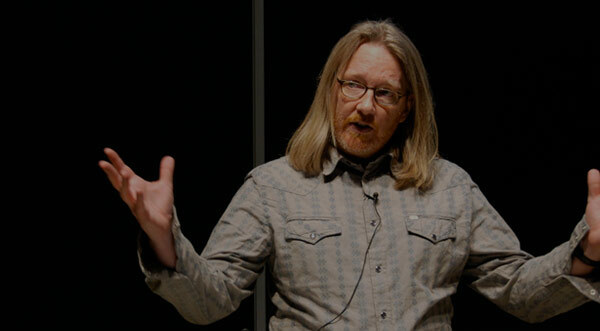 Professor Mark Saltzman: You design. Scientists observe and try to describe and engineers try to design. They take those descriptions and the scientist that is known and they try to design new things, and so if you look at a dictionary it has words like this, that you’re designing things or another way to say that is that you’re trying to apply science, you’re looking at applications. We’re trying to take scientific information and make something new. The other thing about it is that you could make lots of things that are new but generally you think of engineers as making things that are not just new but they’re useful, that they do something that needs to be done, and that they do something that improves life, the quality of life of people. So here is a brief and very biased history of engineering. It’s short. Engineering became a discipline in about the middle of the 1800s. Lots of universities started teaching engineering as a discipline including Yale. In 1852, around that time, this might have been the first course that was offered in engineering in the country: it was taught at Yale in civil engineering in 1852, and even Yale students don’t know this; what a long, distinguished history of engineering that their own institution has. In fact, the first PhD degree in engineering was awarded to a fellow named J. Willard Gibbs at Yale in 1863 for a thesis he did on how gears work or something, I forget exactly what the details are, but have you heard of Gibbs? Is it a name that rings a bell? Where did you hear about Gibbs from? Professor Mark Saltzman: G, Gibbs free energy, that annoying concept that you had to try to master in chemistry at some point, but Gibbs is really the father of modern physical chemistry and was one of the most famous scientists of the nineteenth century and got the first PhD in engineering here at Yale. Then from these beginnings, engineers transformed life in the twentieth century: a lot of things started in the twentieth century and became common place. Things like electricity, having electricity delivered to your home, so you had to have ways to generate electricity and to carry it from point to point and it was engineers that did that. Built bridges and roads and automobiles, so we can get from one place to another relatively quickly because of that. Because there are airplanes that were also developed by engineers in that century. We designed a lot of new materials that could be used to build things that couldn’t have been done otherwise. Things like steel and polymers, or plastics, and ceramics, and of course computers which has progressed remarkably due to the work of engineers in your lifetime, until now you can carry around a cell phone, which would have been unthinkable even 30 years ago. Engineers in the twentieth century have transformed our society. One of the other things that happened during the twentieth century is that human life expectancy increased dramatically, people started living a lot longer. What I plot on this graph here is as a function time, years, dates, life expectancy as a function of time. What you’ll see here is that about - for the period before sort of 1700 or so, human life expectancy was less than 40 years of age, so that means a person that was born in that year could expect to live on average about 40 years: that was the expected life span. The expected life spans increased dramatically in the last couple of hundred years until now, for people that were born when you were born you can expect to live to be 80 years old, a doubling in life span, fairly dramatic. So what’s responsible for that? Why are people living longer than they did just a few hundred years ago? Well there’s a clue here on the slide. I indicated a couple of points here where if we looked in the 1665 in London you could ask the question - another way to ask the question why are people living so long is to ask the question, why do people die? In 1665, 93% of the people that died in that year died of infectious diseases. In contrast, if you look at a U.S. city, ten years ago in 1997 for example, then people still died but they didn’t die predominantly from infectious diseases. They died from other things: only 4% died from infectious diseases. So one of the reasons there is a huge increase in life span is because people aren’t dying of things that they would have in prior years. Why the change in infectious diseases? Why did I focus on that one? What makes it so much better to be alive now in terms of your likelihood to die of an infectious disease than it did in London in 1665? Professor Mark Saltzman: Yes, but what specifically? Professor Mark Saltzman: Drugs like antibiotics, Penicillin, Erythromycin, again something else you probably all had experience with and you think well that’s not Biomedical Engineering that’s science, that’s somebody discovering a molecule that kills microorganisms. That’s true, it is science, but in order for that to go from being a science that works in a laboratory or in one hospital to being Penicillin which could be used all over the world, you’ve got to be able to make it in tremendously large quantities and that’s the work of biomedical engineers, making Penicillin in the kinds of quantities that you need so that a dose could be available for everyone in the world if they got infected, and to make it not just in abundance but make it cheaply enough that everyone could afford it. So if you can make 100 tons of the drug but it costs $100,000 a gram that might not be a useful drug because nobody could afford to use it. So it’s the work of biomedical engineers, really, to take these innovations in science like drugs and make them useful, make them so that everybody can take advantage of it. You also mentioned vaccines and we’re going to talk a lot in the middle part of the course about vaccines and the engineering of immunity. How do you engineer what happens in our immune system in order to protect us from diseases? That’s another example of an area where biomedical engineers have made tremendous contributions. So just to go a little bit further with that point, if you looked at the causes of death in London in 1665 here’s a list that I got from a source that was written at that time, and I don’t even understand what some of these things are, but the ones in green are infectious diseases, they’re infectious causes of disease. Spotted fever in purples for example, which we call measles, was a significant cause of death as was the plague, which we don’t have anymore, thank goodness. But people died typically of either infectious diseases or they died during childbirth, or they might have died at old age which would have been 50 or so at that time. In contrast today, because we have antibiotics and we have vaccines, people don’t die of infectious diseases as often. They live much longer lives and they live to die of something else and the leading causes of death currently haven’t changed very much since 1997 when this data was published: they die of heart disease and cancer primarily. Those are the number one and two causes of death. We’re going to talk a lot about how one can use the technology that we have now to treat these kinds of diseases like cancer and heart disease. But why do you think these are the number one and two now? How come these have risen above infectious diseases over the last several hundred years? Why is cancer one of the leading killers in the U.S. now but wasn’t even on the charts in 1665? Professor Mark Saltzman: So it could be that - what’s your name? Professor Mark Saltzman: So Justin said it could be new things that are around and you’re exposed to stuff we weren’t exposed to before and that’s true. Our environment has changed, the world has become industrialized. We’re exposed to things that might cause cancer where weren’t exposed to them before and so that might be a reason. Student: they might not know what it was? Professor Mark Saltzman: In 1665, they weren’t diagnosing cancer. It was easy to tell if somebody had an infectious disease but you might not have known that they had cancer at that time and they just died. We didn’t have the same methods of diagnosis that we do now, so maybe it was just not diagnosed then. Professor Mark Saltzman: People are living longer and so now they have more opportunity to get cancer, right? The longer you live the more opportunity you have to acquire a disease like cancer, which often is an accumulation of defects that occur over a long period of time. So we’re going to talk about cancer. For example, how cancer diagnosis has improved, what are some of the causes of cancer in the environment around us and how can we protect ourselves from it, and we’ll talk about treatments for it as well. Cardiovascular disease, why is cardiovascular disease on the top? Professor Mark Saltzman: Obesity or generally our diets are different than they were in 1665. We eat different kinds of things and many people think that that’s what has contributed to much more heart disease. But it could also be that it wasn’t as easily diagnosed then. So people were dying of old age and that was really heart disease that was killing them they just didn’t know, so it’s multi-factorial and we’ll talk about that. I just wanted to show you this last graph, or this last set of statistics to go from causes of death in the U.S. to causes of death in the world, to illustrate that what happens in the world around us in the U.S. isn’t necessarily the same as what happens in other places around the world. In other places, infectious disease is a much bigger part of their life and a much greater risk of death from infectious diseases and parasitic diseases if you live in places other than the U.S. or Western Europe, for example. So the problem of infectious disease prevention and treatment isn’t solved yet, you know this, right? So there’s plenty of room to still innovate in that way, to develop new methods that could protect against diseases like AIDS or diseases like malaria that we don’t have problems with here but they do in many parts of the world, and so we’ll talk about that. I mentioned the book for the course and the book is a book that I’ve written. It’s not published yet and so I’m going to put chapters from the book that are in fairly final form, and I think you’ll find them easy to read, but you don’t have to buy it. It’s going to be posted on the Internet and I’ll post chapters sort of in advance of the reading assignments. If you looked on the classes server you saw Chapter 1, and Chapter 1 describes some of the sort or organization of Biomedical Engineering into sub-disciplines, which I’ve listed here. So we’re going to talk about thinking about the body as a system, as a system that can be understood the same way a motor could be understood or a computer that could be understood. That study is Systems Physiology and that’s an important subdivision of Biomedical Engineering. We’ll talk about instrumentation a little bit and I’ve mentioned this, things like the EKG machine and the heart/lung machine are instruments that are designed to either keep patients alive or to allow you to monitor their function over time. We’ll talk about imaging which I mentioned, biomechanics or the study of humans as mechanical objects. We’ll talk about a field which is growing now called biomolecular engineering and that is the design of biomaterials or new materials that can be implanted in the body, it’s new ways of drug delivery. It’s this whole field of tissue engineering that I mentioned earlier. We’ll talk about artificial organs and we’ll talk about systems biology or thinking about how to acquire information for things like gene chips and use that information to understand what’s happening in a complex organism like you. Now, I’ve highlighted three of these in blue here, imaging, mechanics, and biomolecular engineering because if you go on to study Biomedical Engineering here at Yale anyway, these are the things that you might pick to emphasize on. These are the things that we do best and where we have advanced course work available in these three categories and so I’m going to emphasize these three but we’ll talk about all of these subjects as we go through the course. The syllabus is posted online. I’ve just copied it here so you could take a look at it. Week 1 we’re trying to talk about this question, what is Biomedical Engineering. There are some chapters here for readings: Chapters 1, 2, and 4. I’ve only posted Chapter 1, which basically reviews the things I’ve talked about today. Chapters 2 and 4 are really reviews of things that you probably already know something about, so they’re reviews of basic chemistry. So chemical concepts that are important for us to all understand as we move forward and review of proteins and biochemistry, basically. So I’m going to post those online and we’re not going to talk about them directly in the lectures but they’re there as a resource, so if you read about something like pH and you’ve forgotten what pH is, you can go back to Chapter 2 which is posted and you can read about pH and I try to take you through sort of what you need to know in order to understand the rest of the course material. And if you’ve forgotten about proteins and what their structure is like, you can go to Chapter 4 and read sort of a brief review of protein biochemistry. In the section this week, I’ll talk about the section meetings in just a moment, but there’s no required section meeting this week. During the section times I’ll be available if you feel like you want to read Chapters 2 and 4 and then come and ask questions, sort of a tutorial on these topics of chemistry and biochemistry, then I’ll be available to talk about that during that time. We’ll start with Week 2 talking about Genetic Engineering; what’s DNA, how can it be manipulated, how is our ability to manipulate DNA led to things like gene therapy which can now be in people. And we’ll talk about that and that’s what Chapter 3 is about. We’ll talk about cell culture engineering during Week 4, how do you maintain cells in culture, what are the limits of this. How can you use cultured cells to do things, and how do engineers build new things out of cultured cells is going to be a subject we talk about throughout the rest of the course and the chapter is listed here. So I think that’s enough, you can follow along with the syllabus and see sort of what the topics are each week, what the reading assignment is to do before the lecture in order to get the most out of the lecture. Now, each week we have a section meeting, required section, they’re all - all the sections meet on Thursday afternoon and the idea of the section is to amplify on some subject we’ve talked about during the week. We do this in the undergraduate Biomedical Engineering laboratory in the Malone Building so that we can do demonstrations and sort of hands on projects to really get a little bit deeper into the subject that we’re considering. So in the first week we run a section called from strawberries to gene therapy where we talk about DNA, extract DNA, you can play with the DNA of an organism and we can think about how to use DNA for other purposes. In Week 3 you’ll actually do some cell culture in the laboratory and look at cultured cells and learn how to manipulate, do some manipulations on cells and culture, and so on throughout the weeks. We have a one hour section that’s designed to give you some more detailed experience, some hands on experience with some of the topics we’re talking about. There are no lab reports that are due. There sometimes will be homework assignments which sort of build on what we’ve done during the section but it’s not a lab in that sense that it’s a long experience in the afternoon or that requires any detailed reports. But it is required and I think an important part of the course. There’s a mid-term exam halfway through and a final exam at the end, and there’s a term paper which is due near the end of the course. So this just - just saying a little bit more about the sections, there’s three sections, we have online discussion section sign up, has anybody tried to do that yet? Just so they know that it’s available? So it was supposed to be available from day one, you can sign up for a section that fits your schedule and this is sort of the list of things that we’ll go through in the section meetings. Grading - 30% of the grade is for the mid-term, 30% for the final, and the final is not cumulative, the final covers only things for the last half of the course, so it’s really just like a - covers half the course but it’s given during the final exam period. There’s a term paper which I’ll talk more about as the weeks go on that’s also worth 30% of the grade. You’ll have weekly - approximately weekly homework assignments that account for 10% of your grade, but they have an impact beyond the 10% because if you can do the homework and you understand the homework, you’re going to have no problem with the exams. I encourage you to spend more time than the weighting would suggest. So how do you get an “A” in the course? It’s very simple. You do the reading before class, you come to class, and you do the homework. And I guarantee you if you do those three things throughout the course that you’ll do well in the course and I’ve said this almost every time I’ve given the course and nobody has ever told me that I’m wrong. And so do these three things, if you don’t get an “A” than you can come back and talk to me about it later. The assignment for the next class is to do Problem 2 of Chapter 1, which I’ve repeated right here, and that’s to think beyond what I’ve talked about in terms of what is Biomedical Engineering. To think a little bit more about Biomedical Engineering products that you’ve encountered in your life, or that you have some experience with, and then to think beyond what information I’ve given you in the chapter or in this lecture to say what products of biomedical engineering do you expect to become routine in the next 50 years. So spend ten or 15 minutes thinking about this and write it down and bring your responses to class in the next period and we’ll talk about that. So at the end of this first lecture where I’ve gone some way in trying to tell you what Biomedical Engineering is about, I thought I would try to relate it in a different sort of way. And you’ve heard this poem, London Bridge is Falling Down, everybody’s heard this poem? You played the game; I don’t know if there’s a videogame now, if people play games like this where London Bridge is Falling Down. This is a picture of London Bridge, it’s an interesting bridge which is important in the history of London. Bridges have really changed our society and allowed us to get from one place to another in ways that we couldn’t have gotten to easily before. One of the interesting things about London Bridge is that it’s now no longer in London, it’s in Arizona, you can see a palm tree here. When they reconstructed London Bridge they moved the old London Bridge to Arizona; some guy bought it. That must be an interesting story, but I just have it here, and I think the poem tells you something about engineering if you go through it - and the problems of engineering. In bridge building we’re well advanced in understanding what are the problems with building bridges and how do we overcome them? For example, one thing that could happen is that you build it up with wood and clay, you pick the wrong material for a bridge, and it will not stand up to the forces of nature. It will wash away and so you got to pick the right materials in order to build a bridge. So you pick a better material like iron and steel, that makes a better bridge, we know that now because we have experience with bridges, but still your bridge might fail. It might fail for a different reason. It might bend and bow, that is it’s not the forces of nature like the movement of the river that’s knocking the bridge down, but it’s just the failure of these materials over time, that they don’t last as long as they might. So you build it with a material like silver and gold, and then you encounter the problems of society that your bridge might get stolen because somebody thinks they have a better use for silver and gold than your bridge. I would say that in Biomedical Engineering, largely, we’re still at the stage where we’re trying to understand how things work and how they fail, and what materials are the right ones. We’re maybe where civil engineering and bridge building was 100 years ago. And that makes it for me a very exciting time to study this because the problems aren’t solved in the way that bridge building is largely a solved problem now. Problems like the artificial heart are still unsolved, there’s still room for innovation, still room to learn from what hasn’t worked before, to learn from science, and to design something better. So one of my purposes of this course is to get you, whether you study Biomedical Engineering after this or not, excited about the subject so that you start thinking about how you could innovate in this area where lots of problems are still left to solve, so I’ll see you on Thursday hopefully.